At Triangle Systems we realize producing the best product in the industry isn't enough. We have set ourselves apart by providing exceptional personalized service. Our knowledgeable staff will respond to your questions and requests quickly, ensuring your complete satisfaction. We guarantee all work and will always be there to provide useful solutions to your needs. We are a fully-equipped data processing center and have the latest technology. Our high speed Xerox laser printers have the combined ability to produce over 24,000 printed pages per hour. Our production printers can handle all of your high quality printing needs. Paperless Billing | "Push eBilling"
If you would like to save postage and printing costs inquire about email based billing. Most traditional email billing is done using the "Pull eBilling" approach. This requires the customer to log-in to view their bill. Then multiple steps are needed for the recipient to activate the paper turn-off selection. This method results in a low paper turn-off percentage. Our solution uses "Push eBilling" delivering the bill securely, and eliminating the need to visit the website. We provide custom services tailored to your needs to set your product apart from others. If the product you have in mind is not available we will design it for you. Highly flexible laser printing allows many options including personalizing your product with logos, specialized font changes and custom colored forms. Your job is never too small for us. At Triangle Systems, we handle large volume jobs as well as smaller customized jobs. Triangle Systems began manufacturing installment payment books for financial institutions in 1975. Today, we not only provide coupon books to our customers, we have evolved our business to include many types of customized printing, intelligent inserting and mail production. We pride ourselves in our ability to produce a high-quality product using the most up-to-date technologies while maintaining the attention to detail that Triangle Systems is known for. 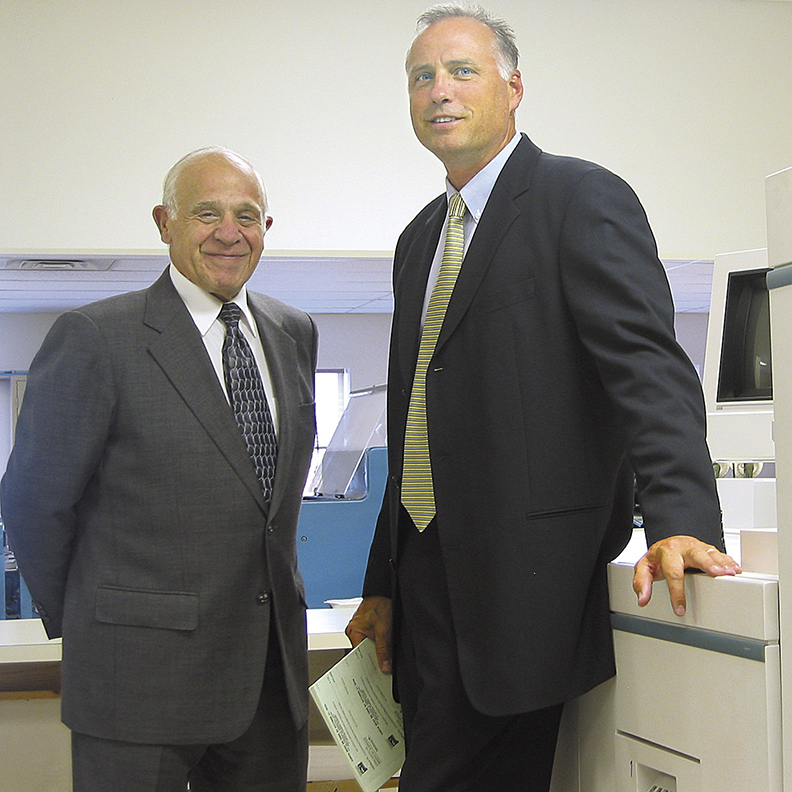 With over 30 years of experience in the financial printing and mailing market, you can count on Triangle Systems. "Triangle Systems is one of my favoirte vendors to work with. In addition to providing fast, economical and accurate services, working with them on projects is always a pleasant experience. We primarily use Triangle Systems as our vendor for Coupon Books, but two years ago, we converted to a new Mortgage System that required us to look at using a vendor to create our Annual Escrow Disclosure Notices. We never thought of asking anyone but Triangle Systems to create this document for us. Triangle made the process easy by working with us throughout every step. Triangle Systems really seems to care about the quality of service that they provide to their clients and as a client I feel confident that we are receiving the highest quality of service from Triangle". "Triangle Systems is the vendor in charge of creating payment coupon books for the Philadelphia Revenue Department. The Department is very pleased with the dedication and professionalism displayed by the staff at Triangle. An excellent product at an excellent price -- a winning combination for the Department!" "I've worked in banking for more than 20 years, and Triangle Systems has always been my vendor of choice for printing services. They have the quality products, advanced technology, and creativity necessary to meet the needs of the biggest clients, and the personalized service that makes even the smallest customer know they're important." Our reputation as a quality printing and mailing company comes from years of hard work with an attention to detail that is unsurpassed. Our motto has always been "Whatever it Takes". We do whatever it takes to make sure your specific needs are fully met, every time.